50 Featherstone Street is a modern, refurbished office space ideally located in the middle of internationally-renowned Tech City. Set on the top floor of this modern office building, the office can be taken in its entirety (5,600 sq. ft.) or can be split to create a 2,410 sq. ft. and 3,140 sq. ft. office. Two passenger lifts serve the fifth floor and these are accessed through an impressive, bright and open reception area with commissionaire. 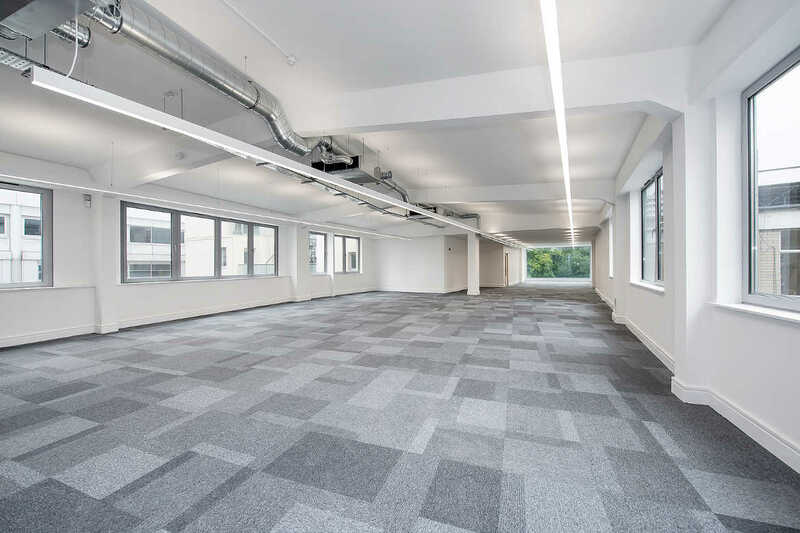 Available for immediate occupation, the fifth floor has been refurbished and provides high volume office space with a new heating and cooling system, new modern light fittings and new demised W/C’s. For further information about the office or to arrange an inspection, please call 020 7336 1313.